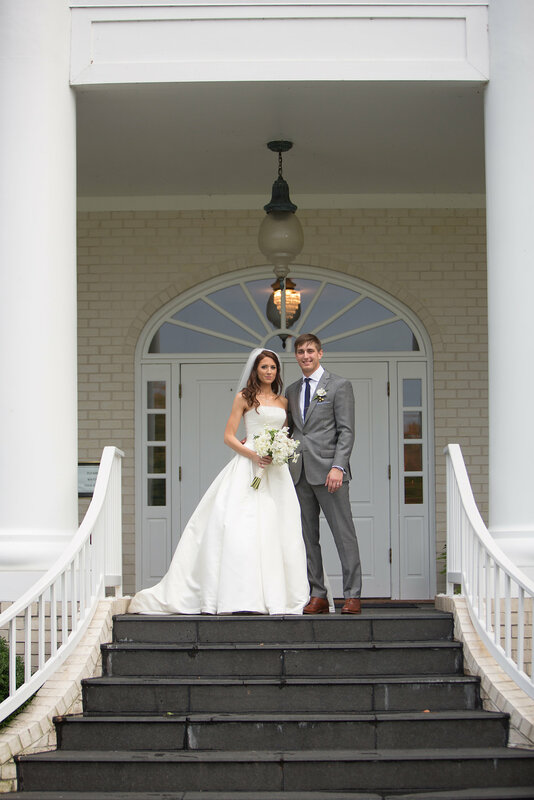 Here is Part 2 of our wedding for Jessica and Mikey at the Old South Country Club with The Happy Couple Photography, see Part 1. 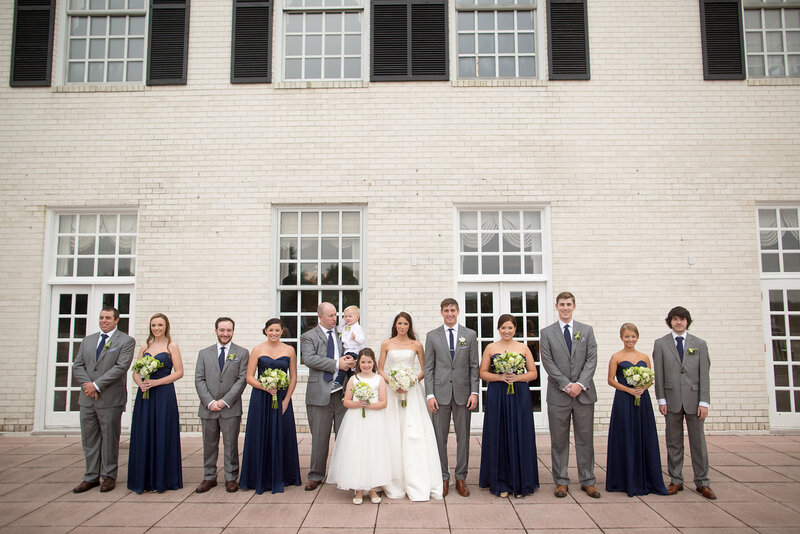 After the ceremony, guests enjoyed cocktail hour and the wedding party were able to take advantage of a break in rain for photos outside. 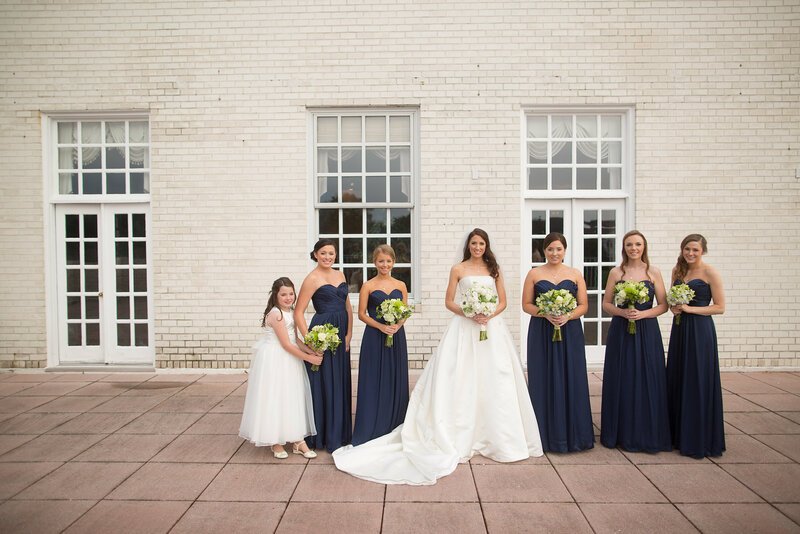 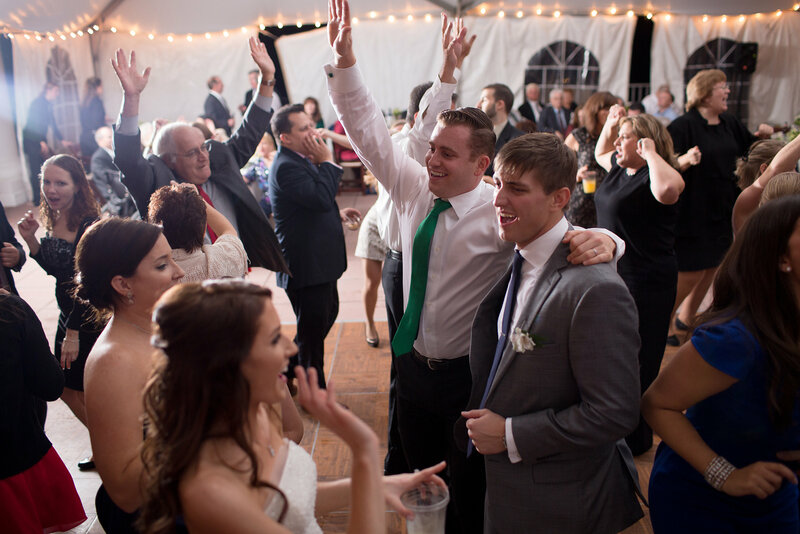 This was a really fun group, Jessica has a huge family and included all of her siblings in the wedding party. 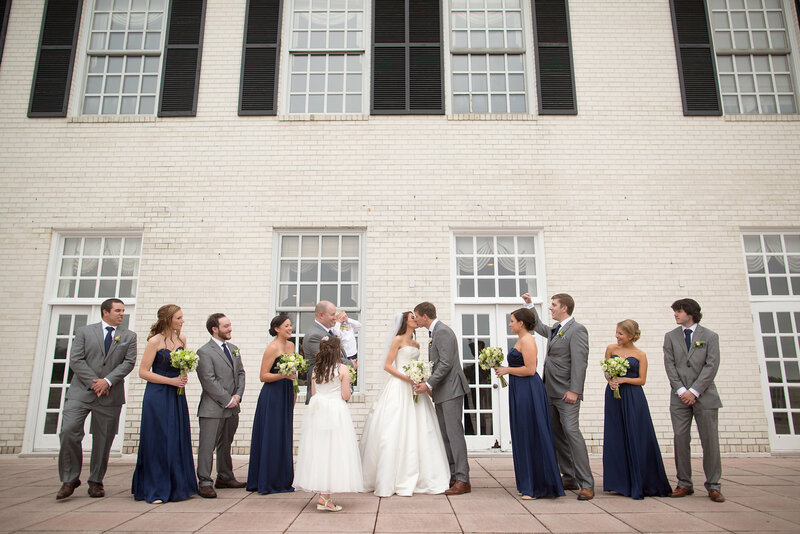 High school sweethearts, Jessica and Mike are so in love! 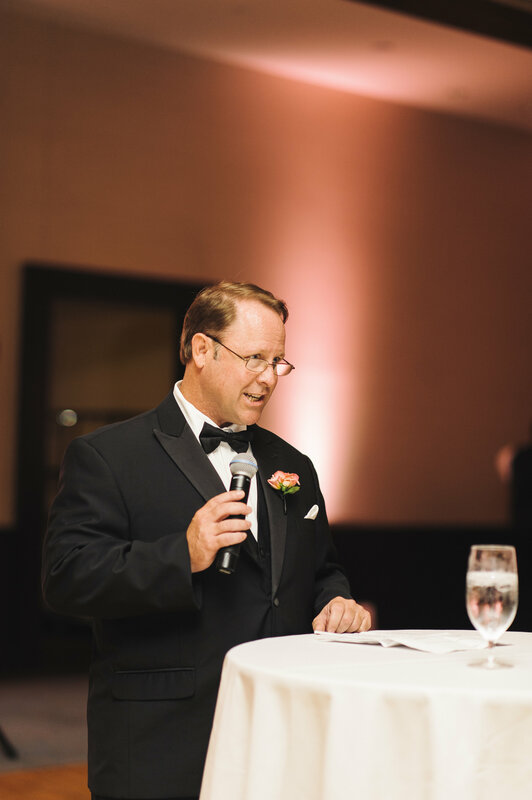 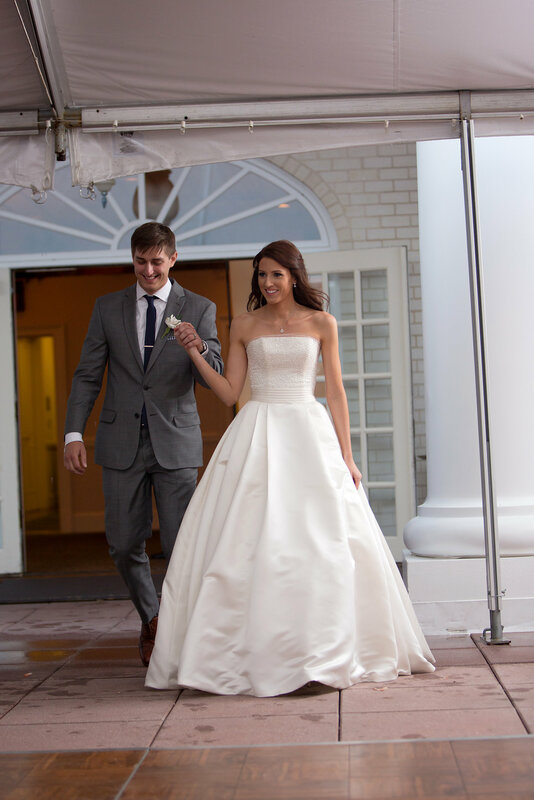 It was such a great celebration; I am honored to have been a part of the wedding. 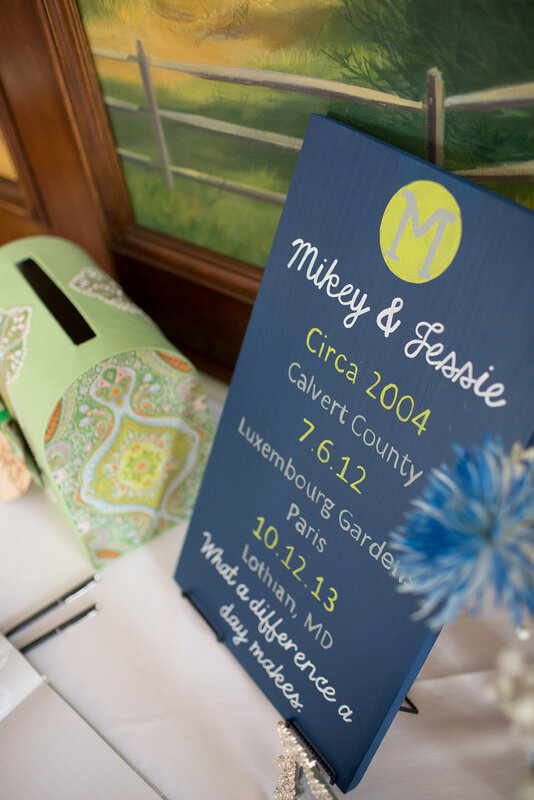 I loved all of the DIY and personal touches Jessica and Mike included. 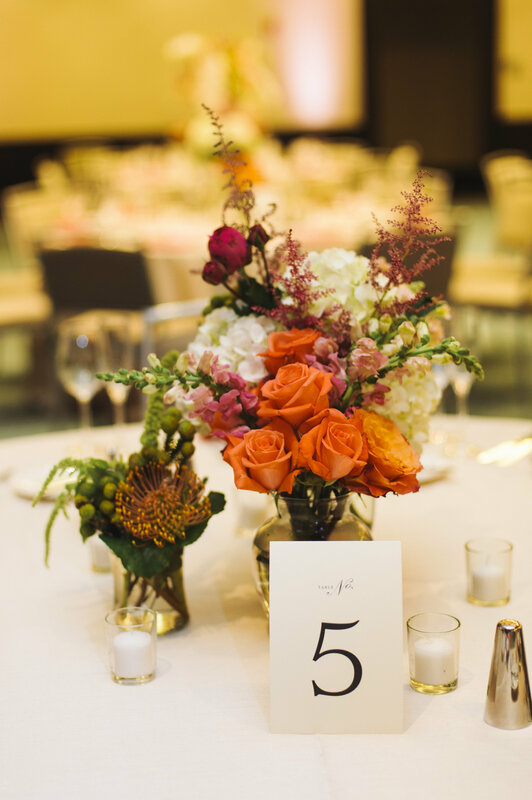 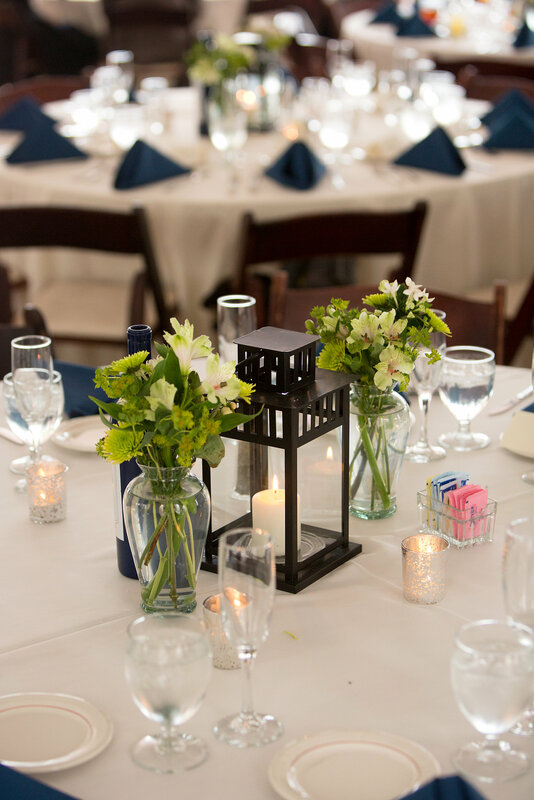 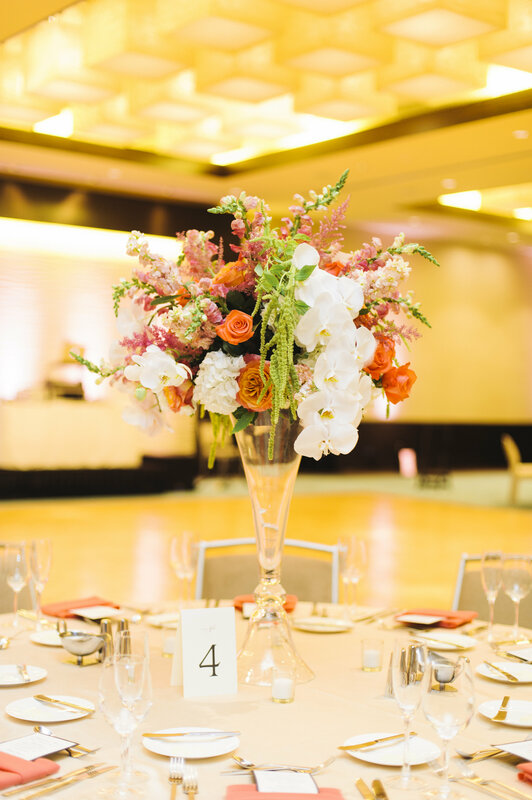 Their simple but elegant centerpieces were a combination of their lanterns, flowers by Dunkirk’s and votives supplied by Bright Occasions. 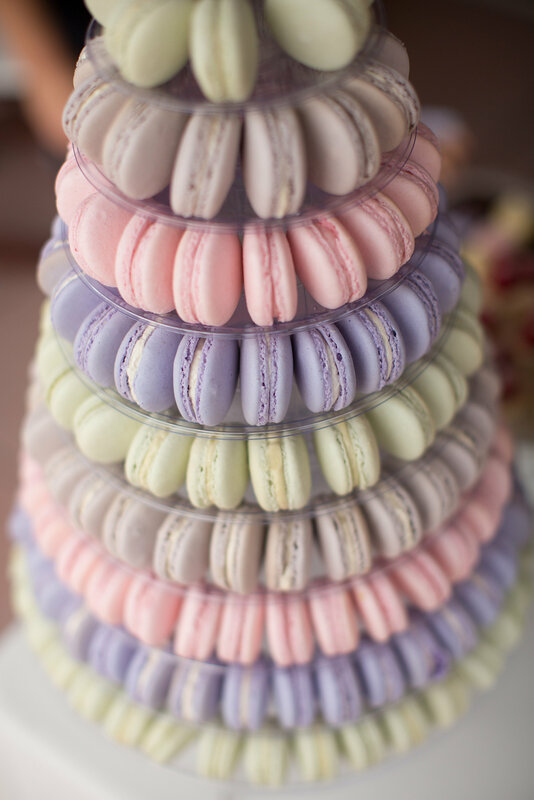 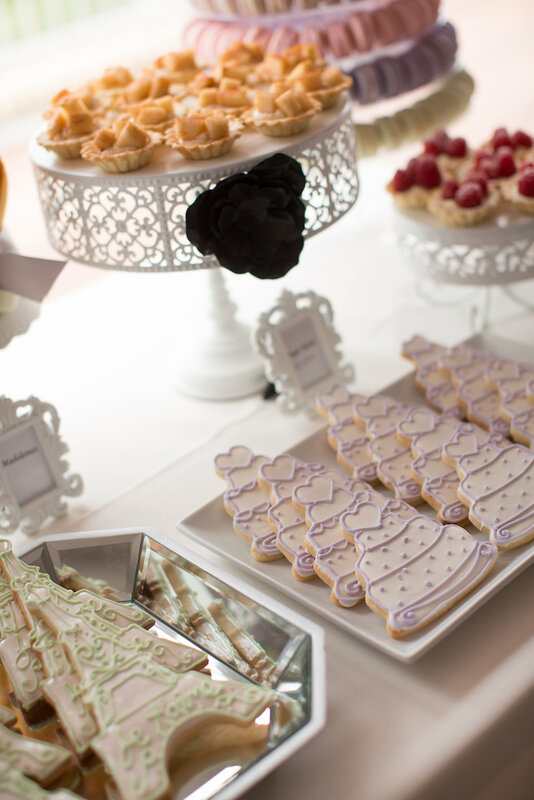 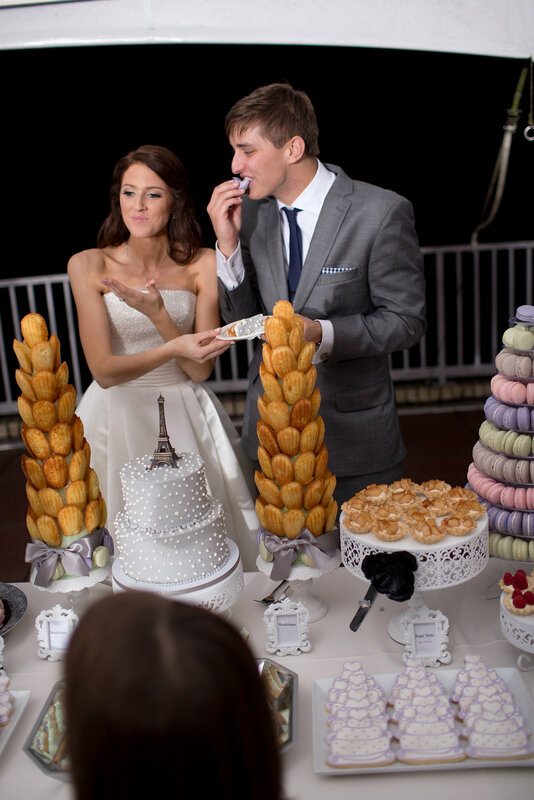 As a nod to their Paris engagement, they included a Parisian dessert table by Sweet Hearts Patisserie. 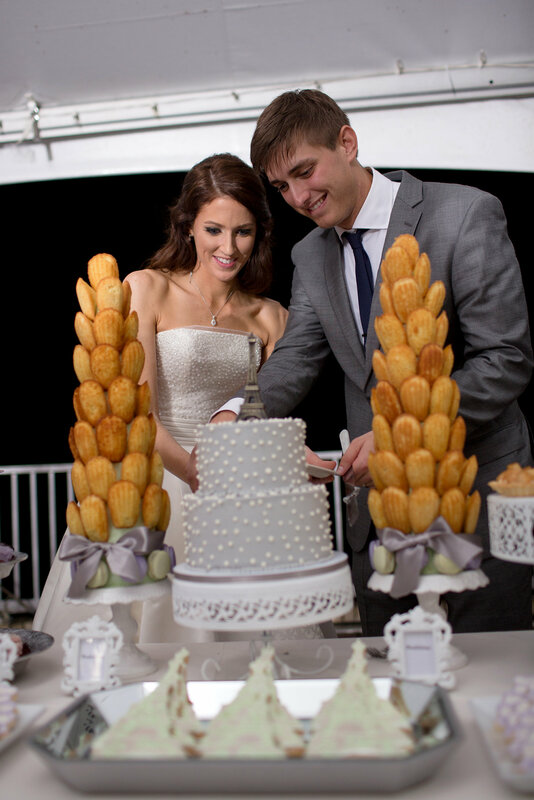 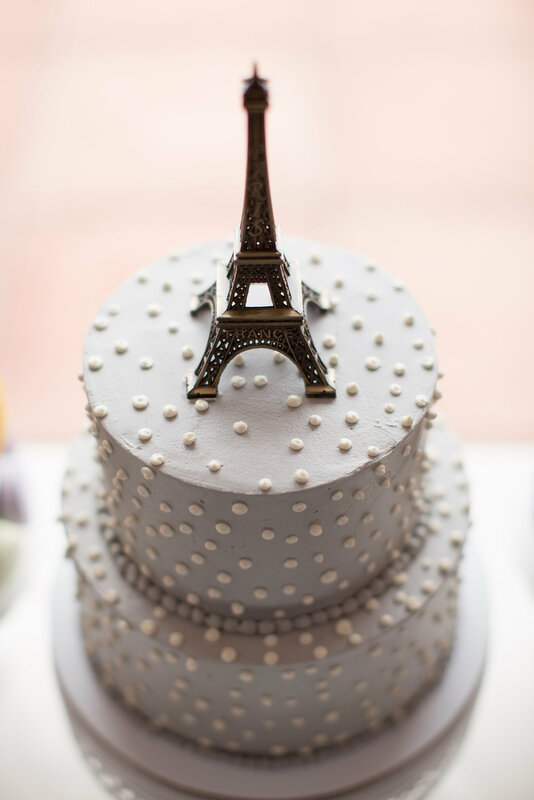 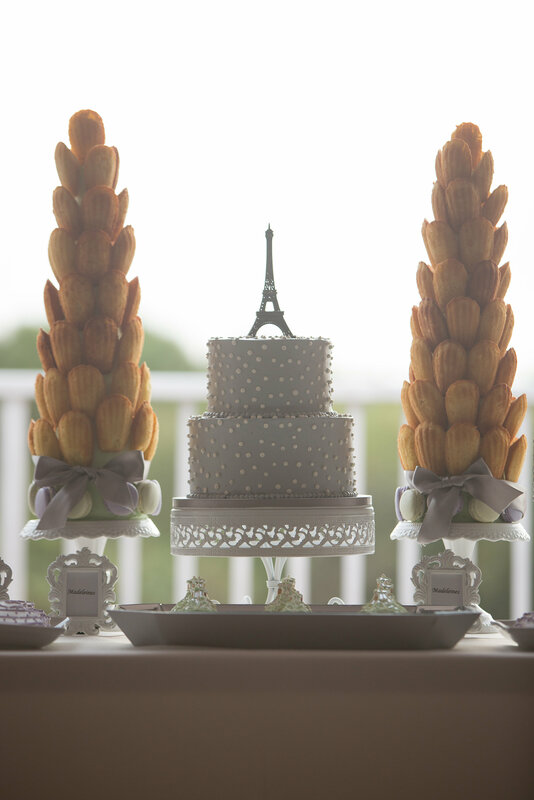 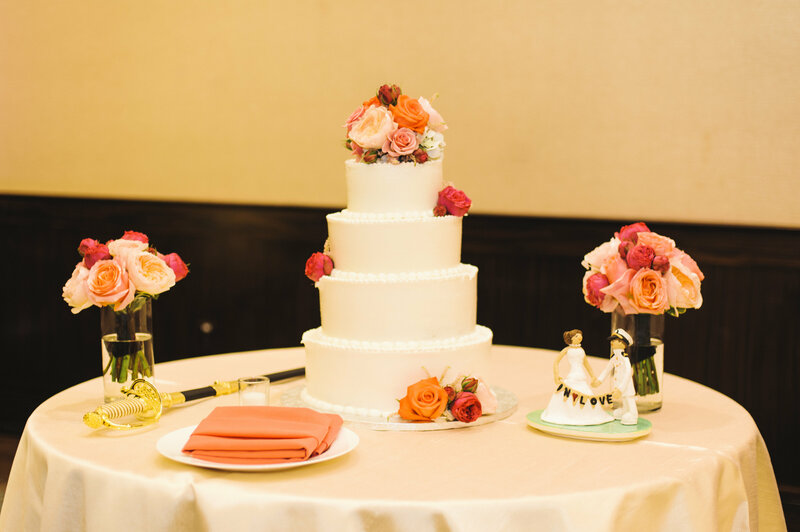 How sweet is their petite wedding cake with the Eiffel Tower cake topper?! 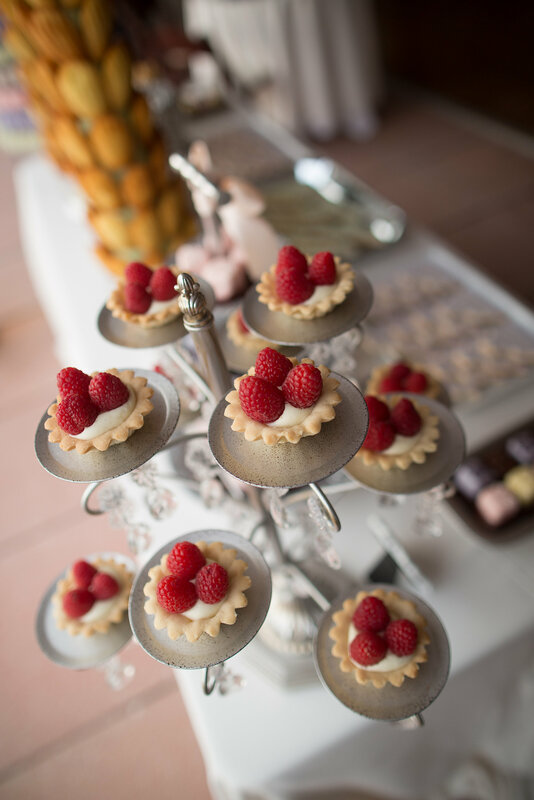 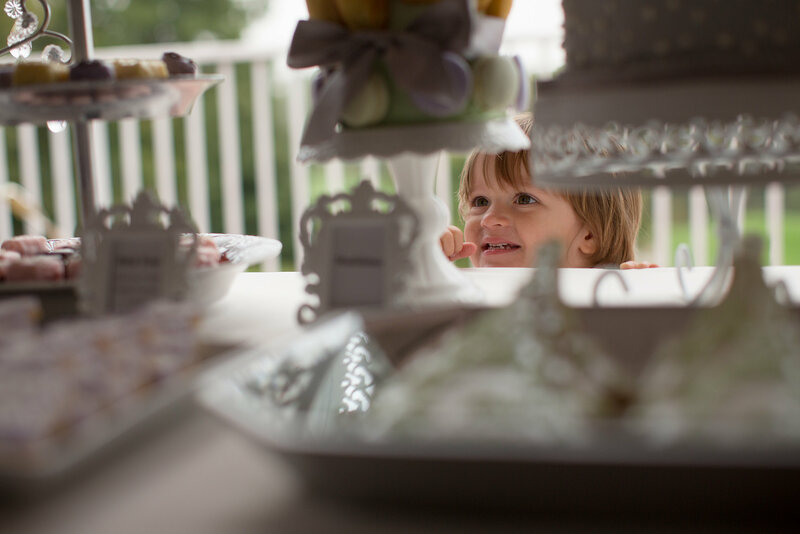 The assorted desserts were a fan favorite from young and old alike! 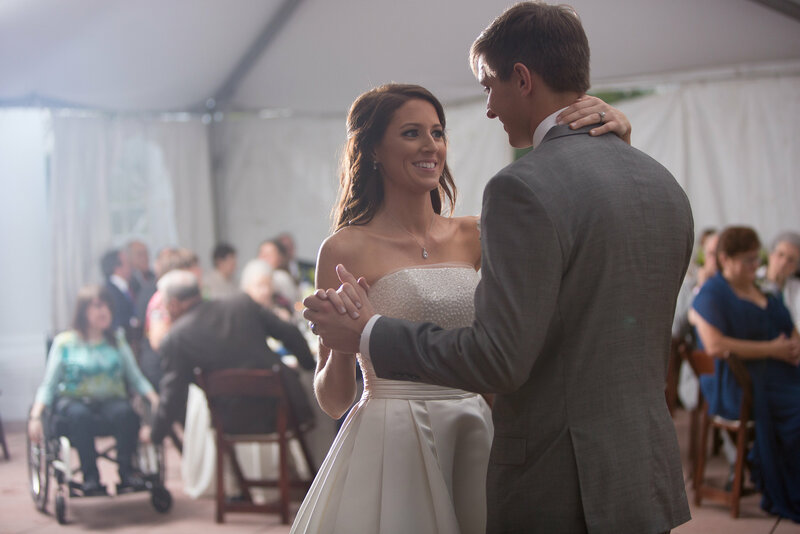 To start the party, Jessica and Mike were introduced as husband and wife and started their first dance! 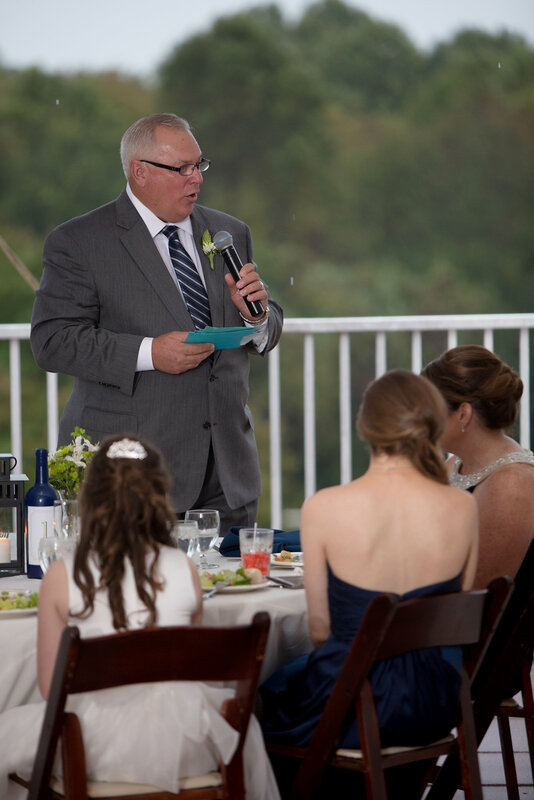 Jessica’s dad gave a very sweet welcome and toasted to the happy couple. 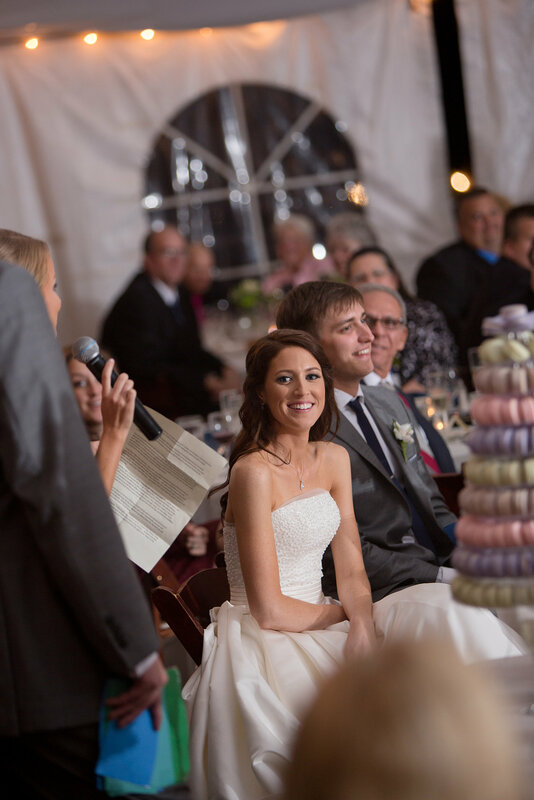 After dinner, the best man and maid of honor also spoke. 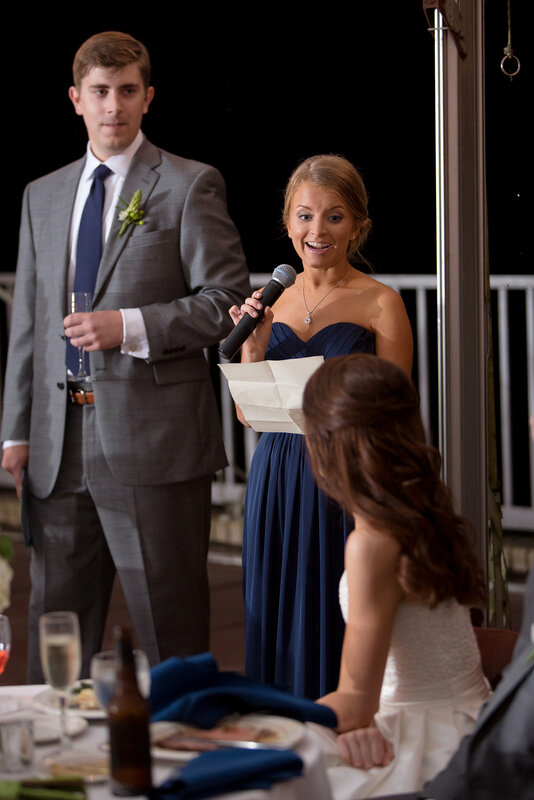 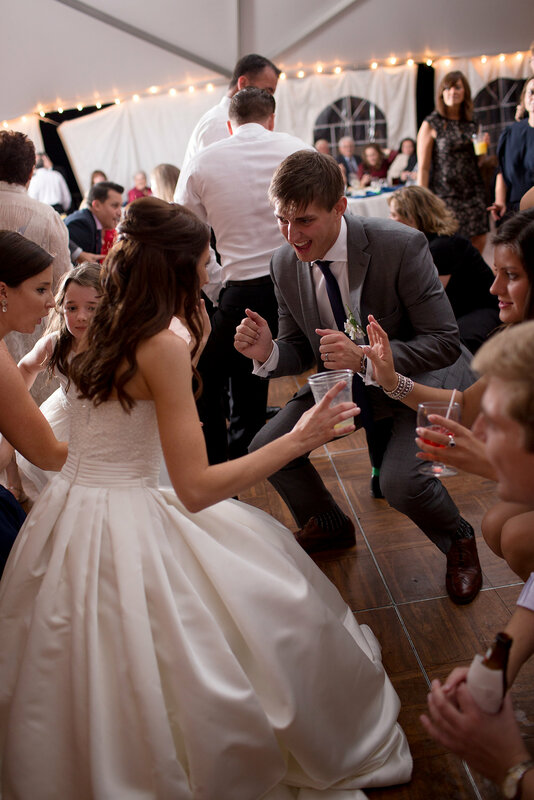 Their toasts were the perfect blend of sweet and hilarous! 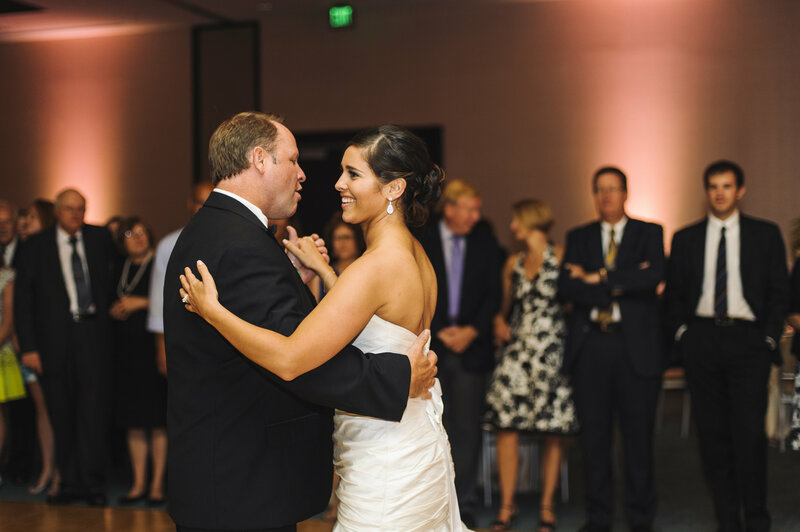 Jessica and Mike then danced with their parents prior to starting the dance party by DJ Rusty, DJ D-Mac. 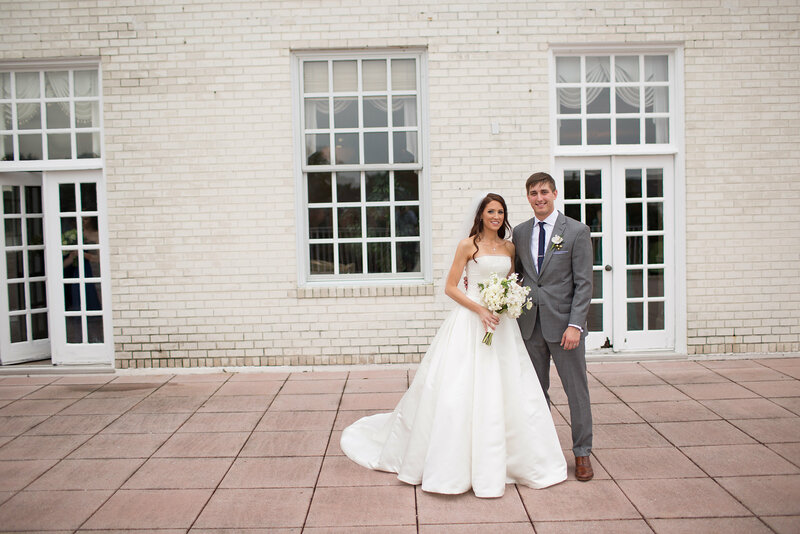 Congrats Jessica and Mike! 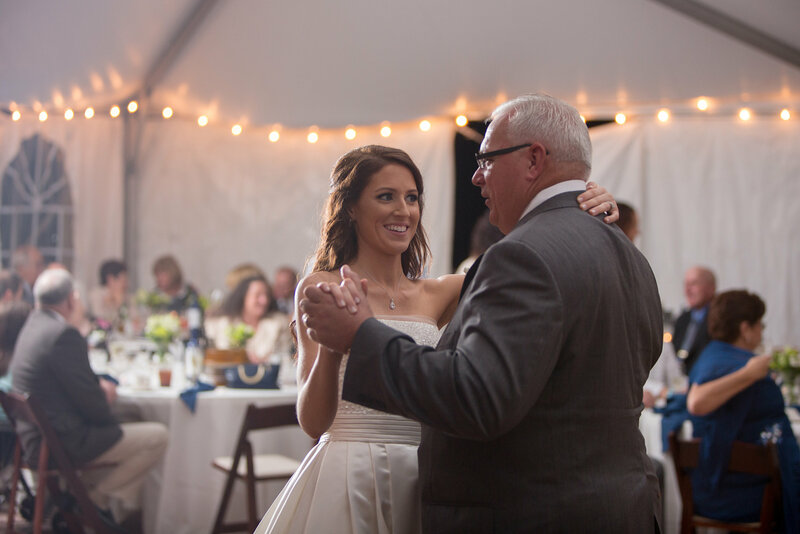 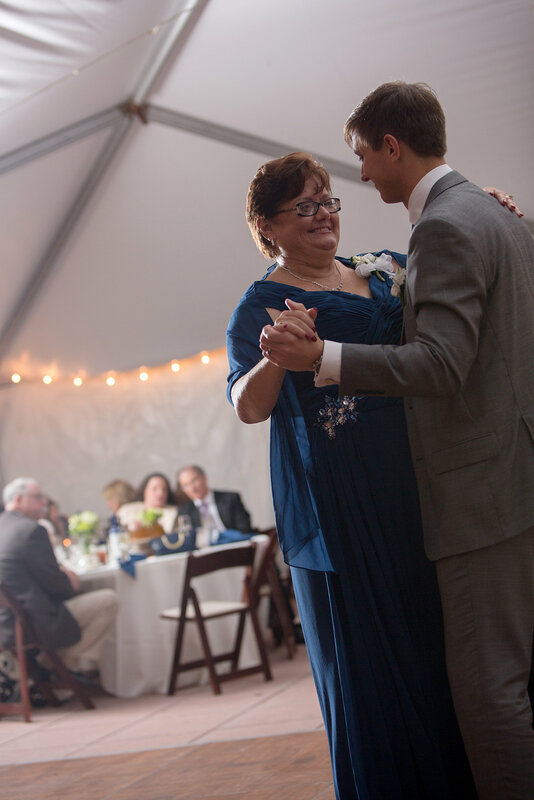 I loved working with you for your wedding. 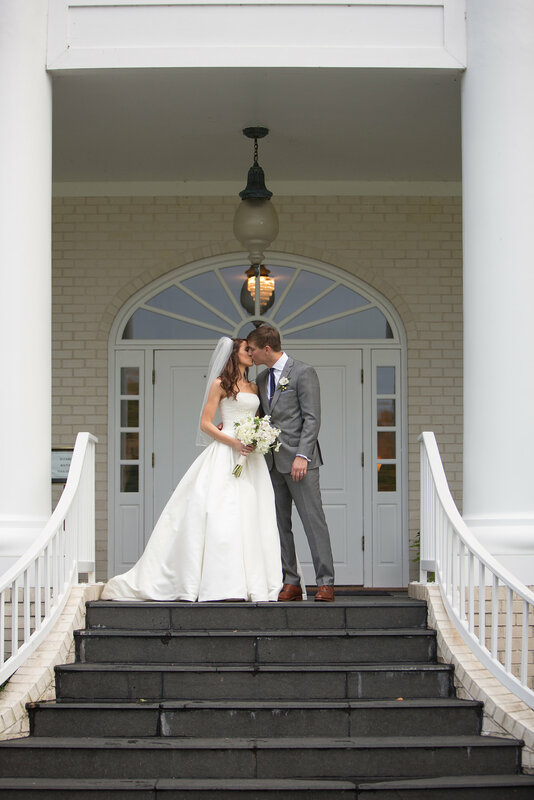 The beautiful photos are all from The Happy Couple Photography. 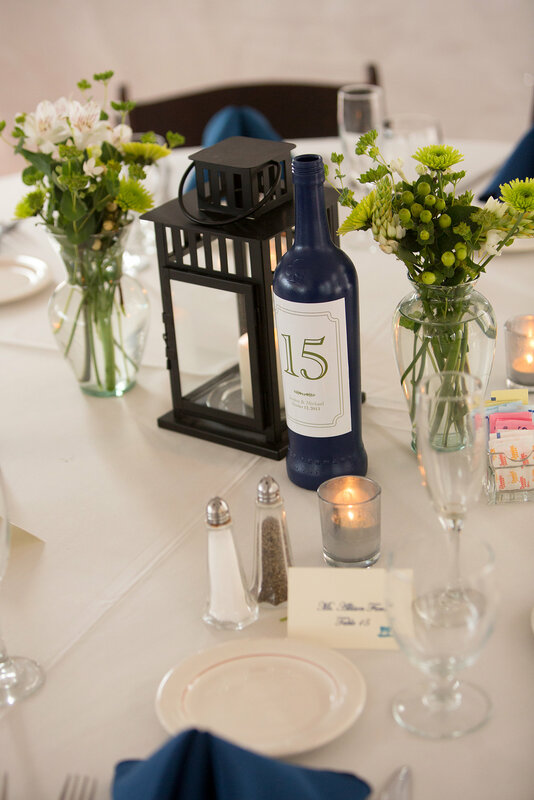 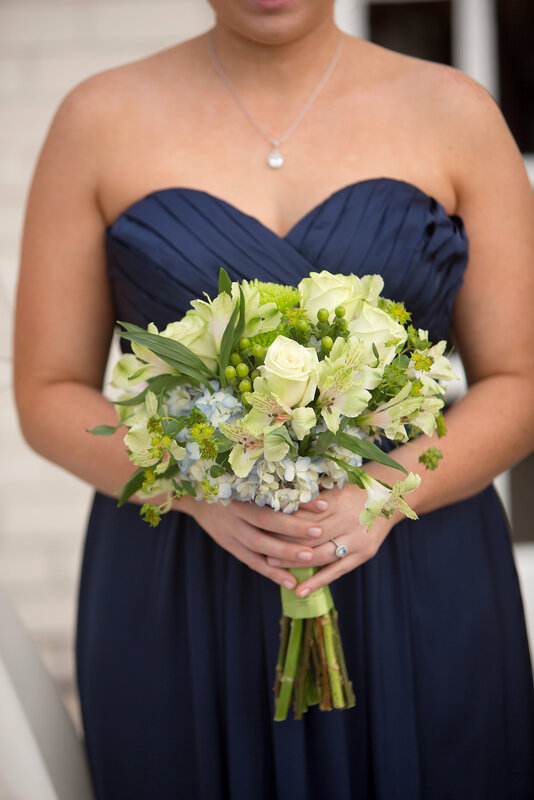 Thanks again to all of the vendors who helped make Jessica and Mike’s wedding day a wonderful celebration! 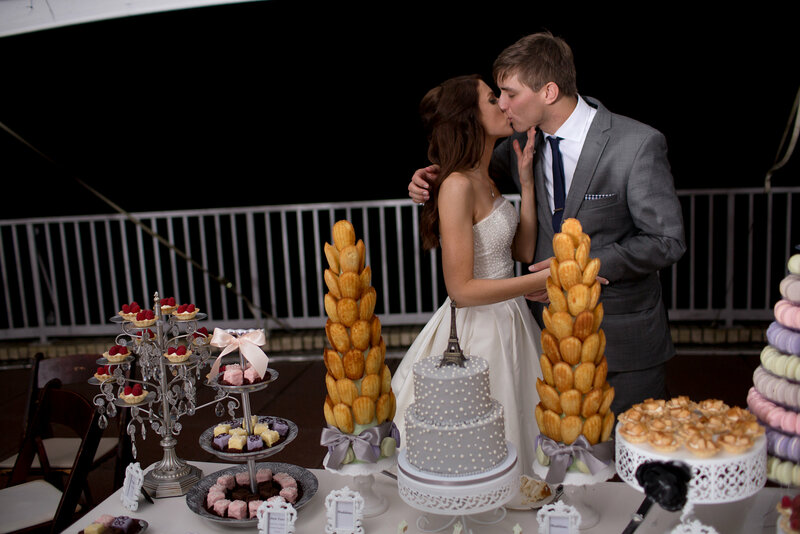 Photo Booth: The Happy Couple Photography.